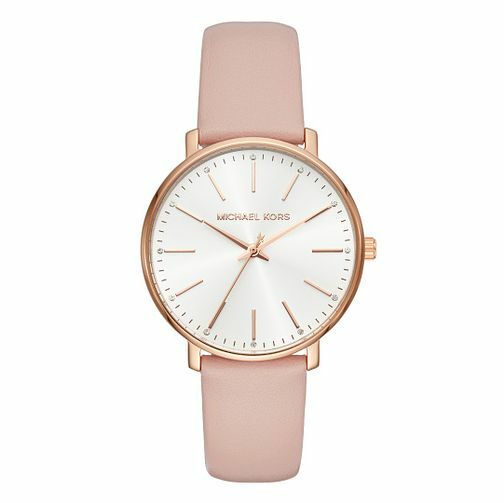 Michael Kors presents a timepiece marked by its luxe and warm colour tones, with a rose gold tone case and minimalist dial, finished with a pink strap for more comfortable wear. Michael Kors Pyper Ladies' Rose Gold Tone Pink Strap Watch is rated 5.0 out of 5 by 1. Rated 5 out of 5 by Anonymous from Beautiful watch. Fast delivery. Competitive price. Beautiful watch. I would recommend Ernest Jones.